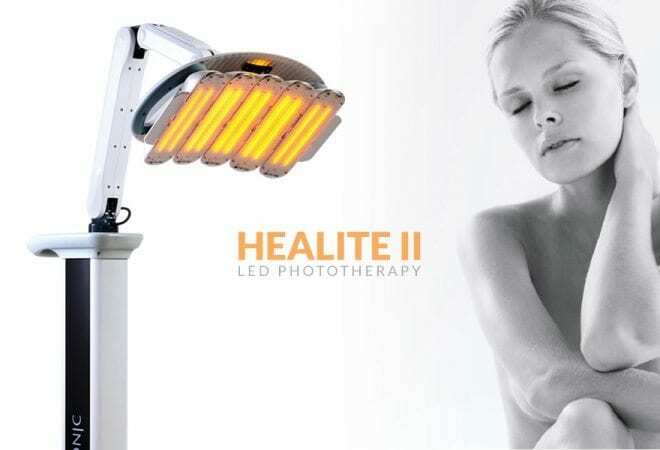 Assure Cosmetic Centre has welcomed the most powerful LED light therapy device on the market – HEALITE II. Clinical trials have shown it to be the strongest and most effective phototherapy treatment there is. HEALITE uses low-level light therapy to treat skin a deep-penetrating cellular level. Skin is rejuvenated through the rebuilding of the body’s own natural collagen stores. HEALITE II is also a simple and highly effective treatment for active acne and for fast-tracking healing after a surgical procedure. It is an advanced therapy that is painless, non-invasive and has no downtime. At Assure, we have been using it as a stand-alone treatment or combined with a chemical peel or microdermabrasion. HEALITE’s deep penetrating LED lights soothe as they target deep into skin cells to photo-stimulate dermal blood flow and induce faster healing, decrease pain, reduce acne and more. The cost for a HEALITE II treatment is $80 or just $60 when combined with microdermabrasion or a chemical peel. Find more about LED therapy at Assure. To enquire about HEALITE for your skin or to book a free consult with one of our experienced dermal therapists, contact us. We can assess your skin’s suitability for this exciting and advanced new treatment.